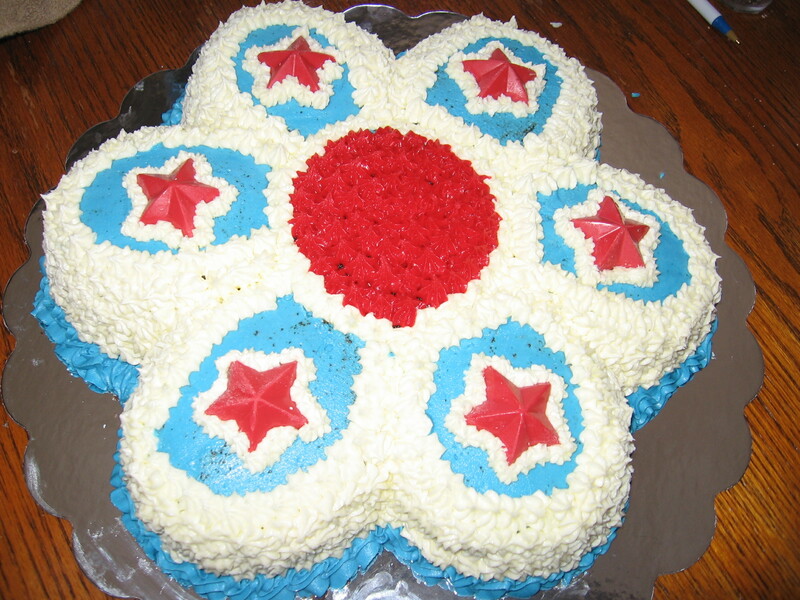 Use the flower cake pan to make this holiday cake. The little red stars are made with candy melts and the star candy mold. Great way to star off the summer! Enjoy! This entry was posted in Uncategorized and tagged bake sale, Cake, indendence Day Cake. Bookmark the permalink.